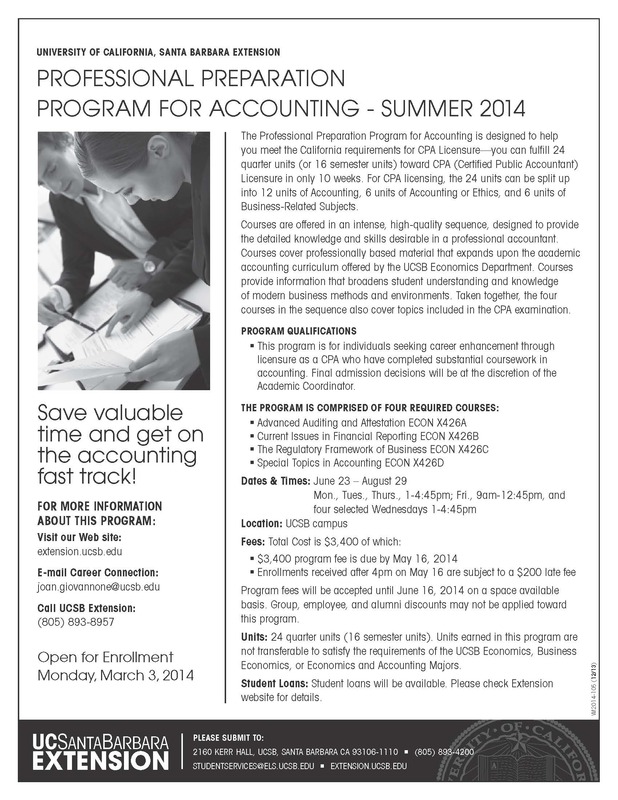 Summer Professional Preparation Program in Accounting – enrollment OPEN! Don’t forget to enroll in the Summer Professional Preparation Program in Accounting. This program is ideal for those students looking to fulfill the CPA unit requirement, and have a comprehensive review prior to taking the CPA exam. This 24 unit program can fulfill: 6 units of business-related units, 12 of accounting-related subjects, 6 units of accounting or ethics.